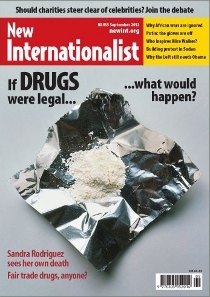 and are you interested in the world? 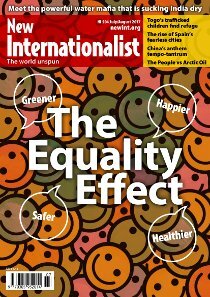 read these Easier English articles, or choose one of the QUIZZES. 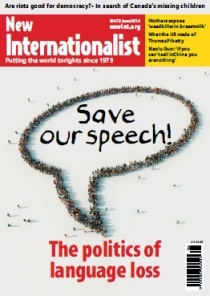 - more than 80, free Ready Lessons to help learners develop speaking, reading, writing, vocabulary and grammar. 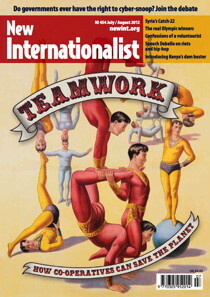 Also see More teaching ideas for many more teaching ideas. 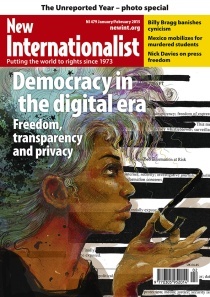 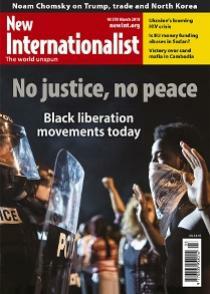 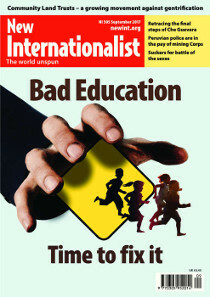 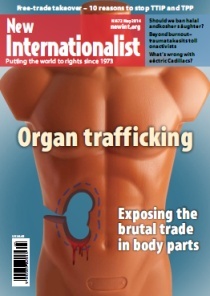 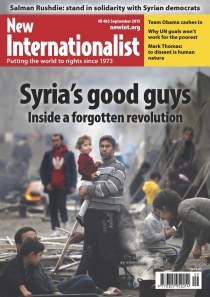 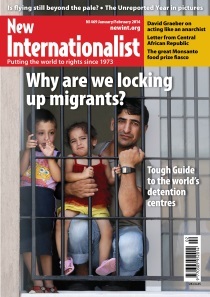 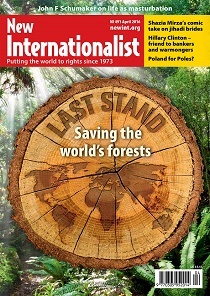 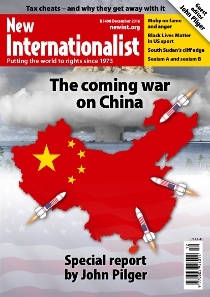 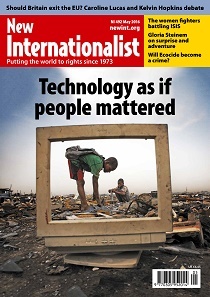 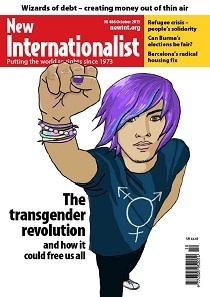 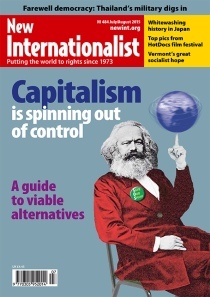 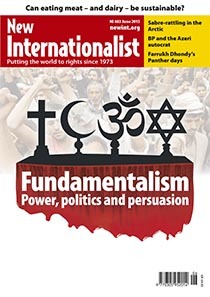 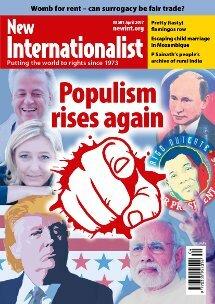 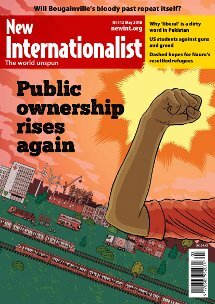 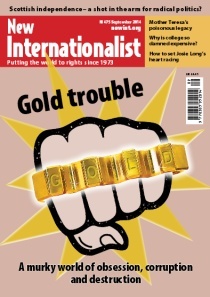 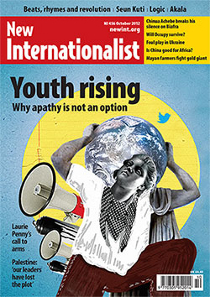 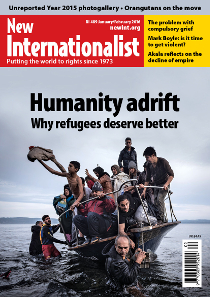 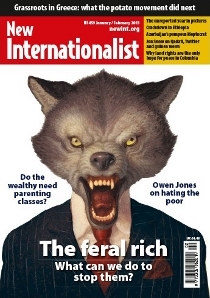 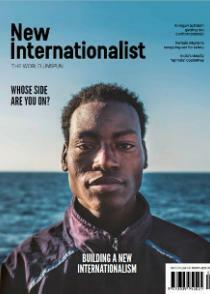 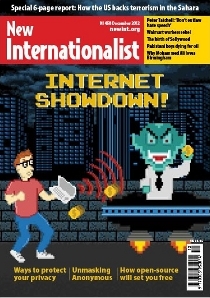 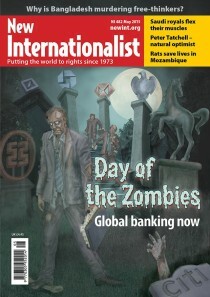 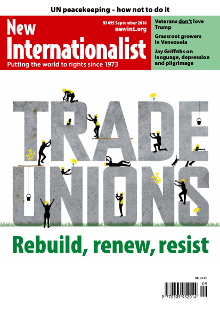 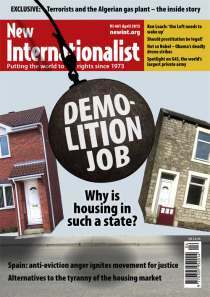 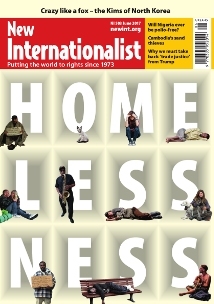 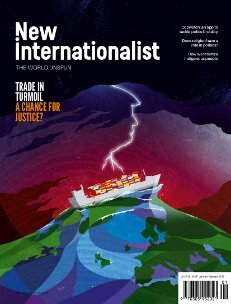 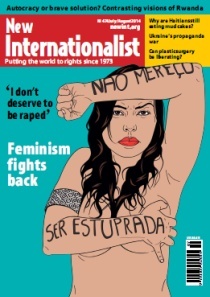 Issue 518 - March / April 2019 - "Building a new internationalism"
Issue 517 - January / February 2019 - "Trade in turmoil: A chance for justice?" 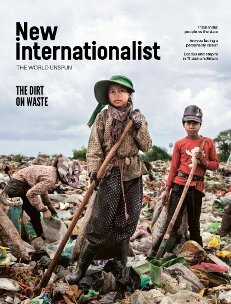 Issue 516 - November / December 2018 - "The dirt on waste"
Issue 515 - September / October 2018 - "Making peace in a world at war"
Issue 514 - July / August 2018 - "The next financial crisis"
Issue 513 - June 2018 - "A better media is possible"
Issue 512 - May 2018 - "Public ownership rises again"
Issue 511 - April 2018 - "Who cares?" 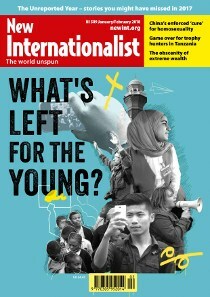 Issue 510 - March 2018 - "No justice, no peace"
Issue 509 - January / February 2018 - "What's left for the young?" 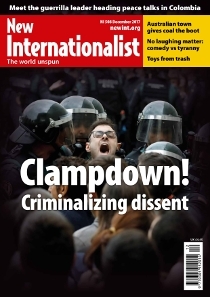 Issue 508 - December 2017 - "Clampdown!" 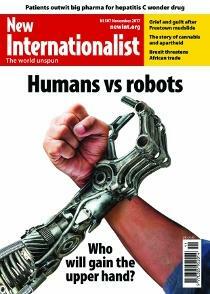 Issue 507 - November 2017 - "Humans vs robots"
Issue 506 - October 2017 - "Brazil's soft coup"
Issue 505 - September 2017 - "Bad Education"
Issue 504 - July / August 2017 - "The Equality Effect"
Issue 503 - June 2017 - "Homelessness"
Issue 502 - May 2017 - "West Papua: Freedom in sight?" 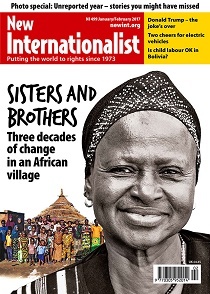 Issue 501 - April 2017 - "Populism rises again"
Issue 500 - March 2017 - "Our 500th issue - brave people"
Issue 499 - January / February 2017 - "Sisters and Brothers: Three decades of change in an African village"
Issue 498 - December 2016 - "The Coming War on China / Tax Avoidance"
Issue 497 - November 2016 - "Peace in Colombia?" 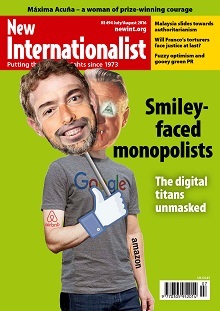 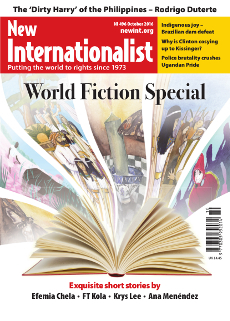 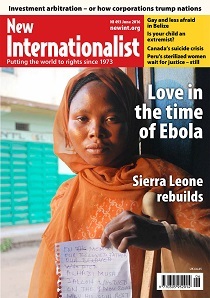 Issue 496 - October 2016 - "World Fiction Special"
Issue 495 - September 2016 - "Trade Unions"
Issue 494 - July / August 2016 - "Smily-faced monopolists"
Issue 493 - June 2016 - "After Ebola"
Issue 492 - May 2016 - "Technology justice"
Issue 491 - April 2016 - "Forests"
Issue 490 - March 2016 - "Saudi Arabia and the West"
Issue 489 - January / February 2016 - "Migration"
Issue 488 - December 2015 - "10 Economic Myths"
Issue 487 - November 2015 - "Paris Climate Summit"
Issue 486 - October 2015 - "The Transgender Revolution"
Issue 485 - September 2015 - "Syria's Good Guys"
Issue 484 - July/August 2015 - "Alternatives to Capitalism"
Issue 483 - June 2015 - "Fundamentalism: Power, politics and persuasion"
Issue 482 - May 2015 - "Global Banking"
Issue 481 - April 2015 - "Total control - is Monsanto unstoppable? 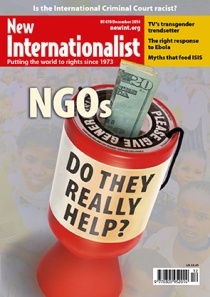 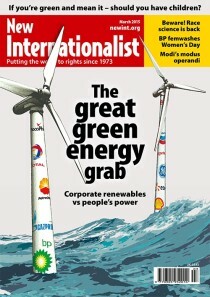 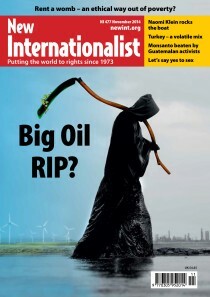 Issue 480 - March 2015 - "Renewable energy"
Issue 478 - December 2014 - "NGOs: do they help?" 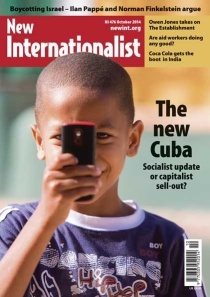 Issue 477 - November 2014 - "Ending the Oil Age"
Issue 476 - October 2014 - "The New Cuba"
Issue 475 - September 2014 - "Gold Trouble"
Issue 474 - July / August 2014 - "Feminism"
Issue 473 - June 2014 - "Save our speech - the politics of language loss"
Issue 472 - May 2014 - "Organ trafficking"
Issue 471 - April 2014 - "The war on whistleblowers"
Issue 470 - March 2014 - "Commodities"
Issue 469 - January / February 2014 - "Why are we locking up migrants?" 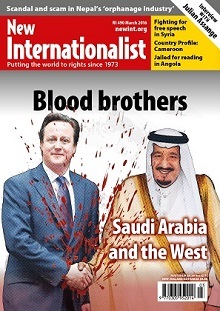 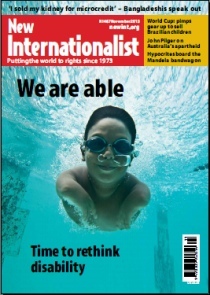 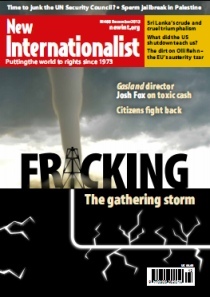 Issue 468 - December 2013 - "Fracking"
Issue 467 - November 2013 - "We are able; time to rethink disability"
Issue 466 - October 2013 - "Where have all the girls gone?" 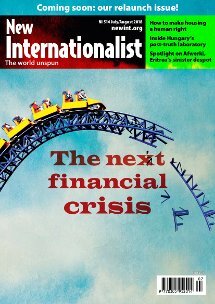 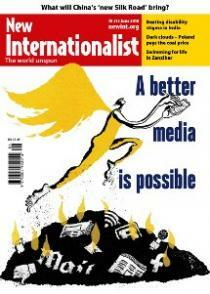 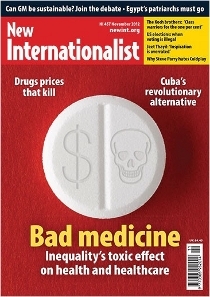 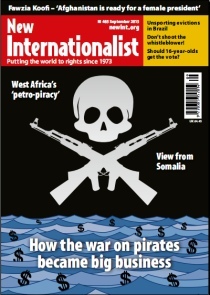 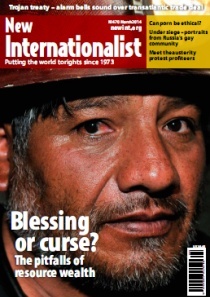 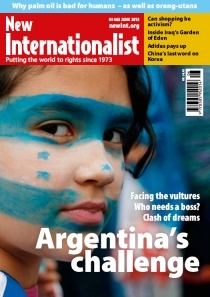 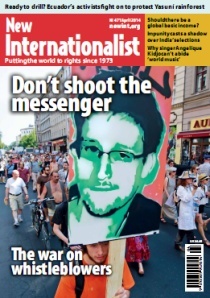 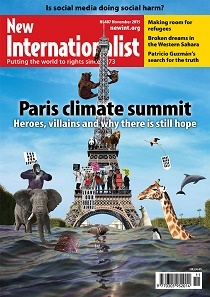 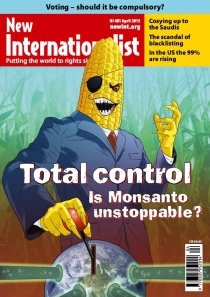 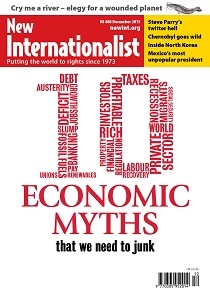 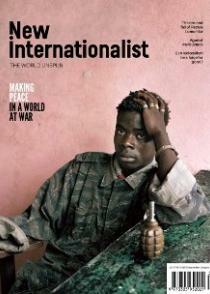 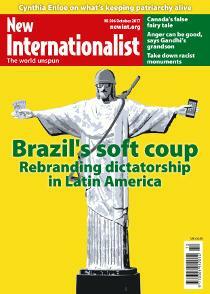 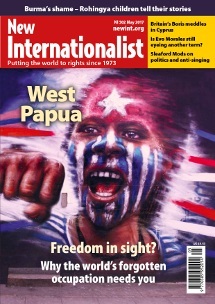 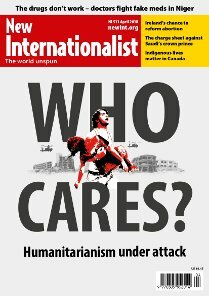 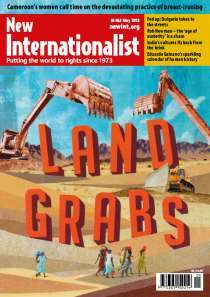 Issue 465 - September 2013 - "Pirates"
Issue 464 - July / August 2013 - "Debt - a global scam"
Issue 463 - June 2013 - "Argentina's challenge"
Issue 462 - May 2013 - "Land grabs"
Issue 461 - April 2013 - "Why is housing in such a state?" 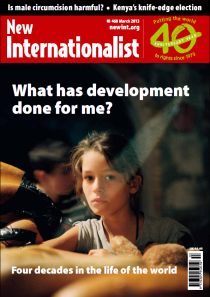 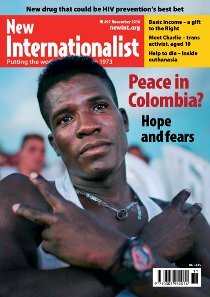 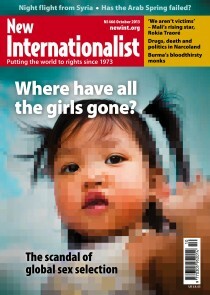 Issue 460 - March 2013 - "What has development done for me?" 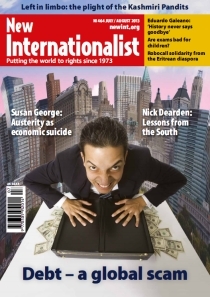 Issue 459 - January / February 2013 - "The Feral Rich"
Issue 458 - December 2012 - "Internet Showdown"
Issue 457 - November 2012 - "Bad Medicine"
Issue 456 - October 2012 - "Youth Rising"
Issue 455 - September 2012 - "Drugs Legalization"
Issue 454 - July / August 2012 - "How Co-operatives can save the planet"
This page was last edited on 10 March 2019, at 17:32. 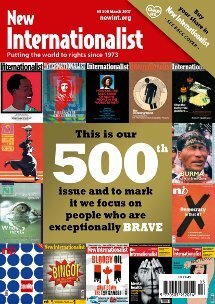 This page has been accessed 810,090 times.